What am I thankful for? EVERYTHING! My superhero is a kindergartener! We have a very unique opportunity to get to know and follow one brave little Friends of Karen child and his family. Luke just turned 5 years old in December and is currently in Pre-K. His mom, Nicole, is a teacher, his dad, John, works in sales, and he has a little sister, Grace, who is just a year and a half old. Luke and his family live in Rockland County, NY. They are a happy, "normal" family, but for one thing…Luke is about to go through a bone marrow transplant (the 2nd in his short life). Through “Luke’s Story” we will have the chance to follow him, his parents, little sister and other people in his life, and see the dramatic impact a serious illness has on a family. Luke’s experience is very personal but, yet, represents the hundreds of families that Friends of Karen supports each and every day as they travel a difficult, heartbreaking, and uncertain journey. But these families are never alone; Friends of Karen is by their side every step of the way. Here’s Luke today. Luke’s transplant will take place in Philadelphia, hours away from his home. Mom will be taking an extended leave from her job and will be moving to Philly to be with Luke during his transplant and recovery. But this means long separations for the family, childcare issues for little Grace, financial stress due to loss of income, the impact of all of this on family life, the concern about how to talk to Luke about what he will be going through and the physical transformations that will occur as he goes through the transplant, and so much more. 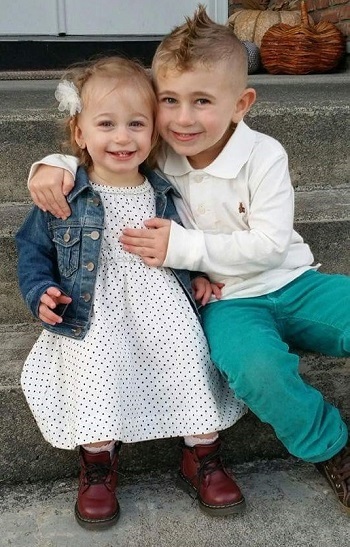 Rhonda Ryan, the family’s Friends of Karen’s social worker and Director of the Family Support Program, as well as Melissa Goldsmith, a Friends of Karen child life specialist, who has started working with Luke, will be available as a support for the family throughout his treatment. They have already started to help the family prep Luke for what is to come and to evaluate the family’s financial situation and logistics for the temporary “move” to Philly. 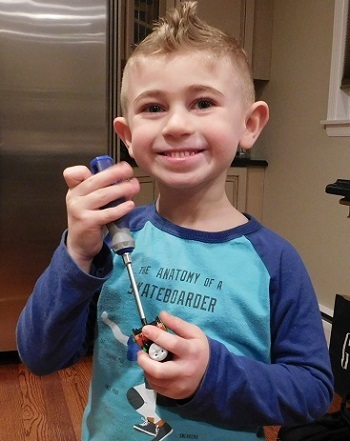 Through this blog, you will have a chance to have an inside peek at what Luke and his family will be going through as we follow them from preparation for the transplant through recovery and beyond. We thank Luke and his family for their willingness to share their journey with us.